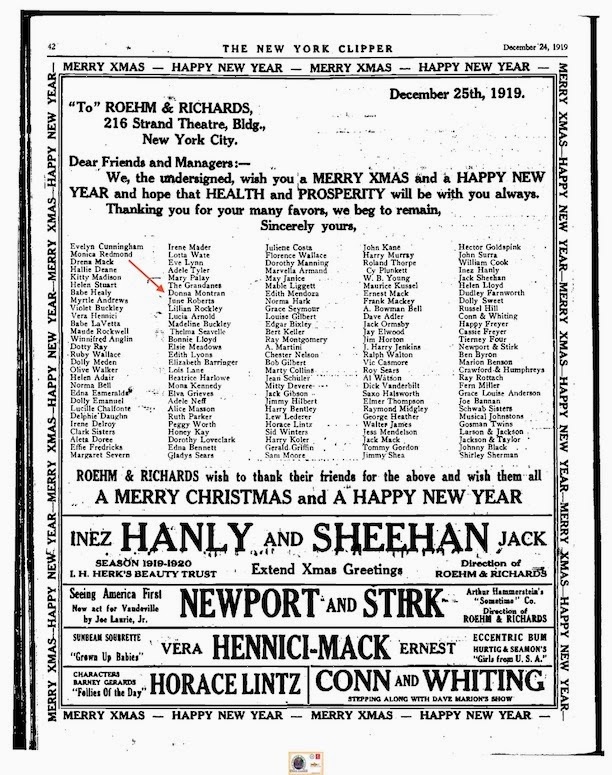 On December 24th, 1919, Donna joined 139 other people in wishing Roehm and Richards a Merry Christmas and a Happy New Year via an ad taken out in the New York Clipper. They all hoped that Health and Prosperity will be with them always. I wish all my friends and blog readers a Merry Christmas and a New Year filled with health, prosperity, and happiness.